PATYKA is a Parisian house of organic cosmetics with more than 90 years of professional experience developing cosmetics always with the same philosophy – to create a new vision of beauty where Ethics, Efficiency and Excellence are inseparable. 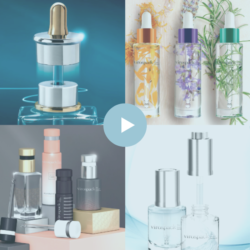 Virospack, known for its quality and service as The Dropper Company, is the leading manufacturer with more than 60 years of experience developing and producing dropper for cosmetics. REPAIR NIGHT SERUM by PATYKA PARIS, is a 100% natural care anti-aging serum that regenerates, detoxifies and rebalances the skin. It´s an exceptional treatment, 100% natural, especially designed to meet the specific needs of mature and devitalized skin. Thanks to its rich formulation containing 16 organic vegetable oils, it stimulates the nocturnal process of renewal of the skin that is immediately plumped, firmer and visibly smoothed. Wrinkles and fine lines are visibly reduced. Night after night, the skin is regenerated, restructured and prepared for the next day. This advanced chronobiological skin-saving serum for all skin types is presented in a full pack by Virospack. 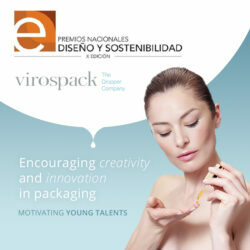 PATYKA have chosen a standard pack of VIROSPACK. This pack consists of a 15ml MOULDED GLASS BOTTLE and a PUSH BUTTON DROPPER that ensures the maximum precision in dosage and application. Making it easy and pleasant to apply every night. This pack is manufactured and decorated by VIROSPACK. A high quality final set with white dropper for a clean, natural and cosmetic look, in line with Patyka’s style and briefing. A presentation with a frosted glass bottle, black screen-printing, hot- stamping and a white push button dropper for a harmonious full pack that transmits perfectly the values of Patyka Paris. Qualitative and functional packaging by Virospack for an excellent and effective formulation that ensures that with just one drop it has the potency and power to revitalize, balance and reactivate your skin’s radiance.